MyTime provides free support for parents of children with disability. 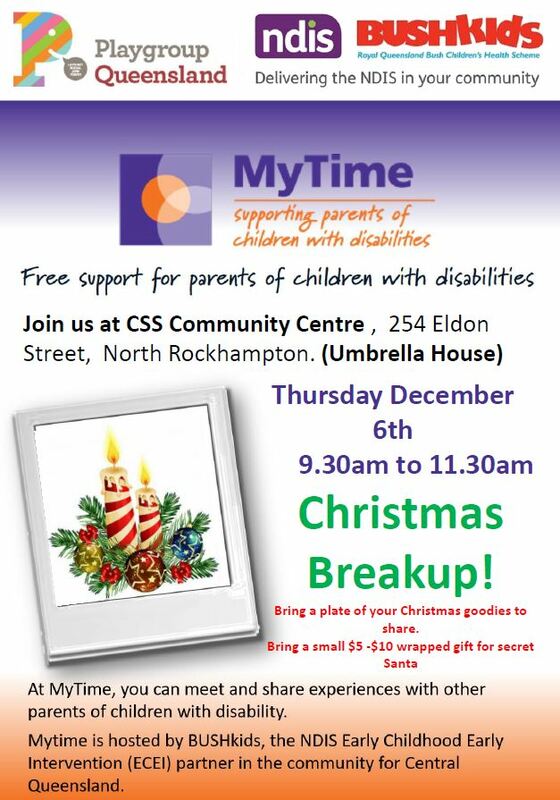 Join us at CSS Community Centre (Umbrella House) for our Christmas breakup event. Bring a plate of your Christmas goodies to share. Bring a small $5 -$10 wrapped gift for secret Santa! At MyTime you can meet and share experiences with other parents of children with disability. In Rockhmapton, MyTime is hosted by BUSHkids in association with Playgroup QLD. You can download the event flyer by clicking here.